Port Commissioner Rafael Castellanos announced Tuesday he has secured the endorsement of San Diego’s longshore workers union. The ILWU Local 29 endorsement is the first by a labor organization in the race for San Diego County Supervisor in District 1. 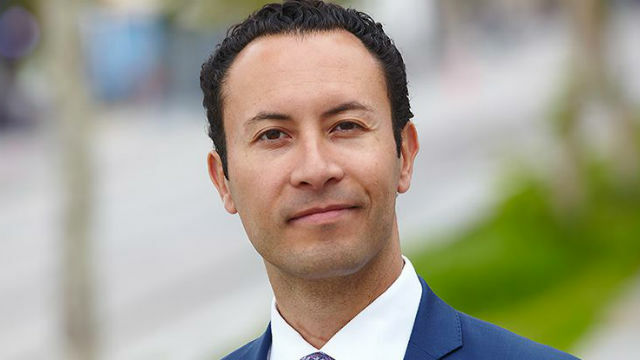 Castellanos, an attorney and Democrat, faces former City Councilman David Alvarez and Southwestern Community College Trustee Nora Vargas in the March 2020 primary. “I’ve been proud to stand with labor as Port Commissioner and I’ll continue to fight to create jobs, expand economic opportunity and combat income inequality on the county Board of Supervisors,” Castellanos said. The district stretches from Barrio Logan to the Mexican border and from Coronado to the east side of Chula Vista. It is currently held by Greg Cox, who is termed out.